Pilots For 9/11 Truth Forum > Pics Of Flight 93 Debris! 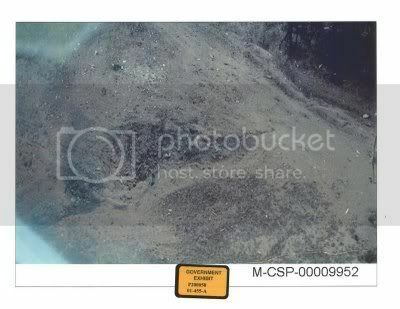 Full Version: Pics Of Flight 93 Debris! ^^Wow! I don't remember seeing that photo before. When was that taken? Welcome to the forum Lanneya-austin. I found this Picture when i was searching through the internet...i could find you the link if you wish. Yeah! The link would be great. It looks like a picture of the site before the authorities arrived, even before the plane 'crashed' there. The grass is green instead of yellow, and the trench is scourched. Looks like a burn pit eh. SPRESTON beat me to it. Thank you! Frankly I don't buy the claim on that website that the photo in question was taken right after the crash. The grass is green and short, but in the photo taken later in the day the grass is yellow and tall. The first picture was taken either weeks/months before 9/11/01 or the next spring/early summer. These were both supposedly taken on Sept 11, 2001. That crater doesnt look the same. Yep. The grass gives it away. It might be the same hole/ditch, but certainly not the same date. Contradiction is the key to everything in 9/11. Every piece of evidence raises questions - "but if that is x then how is that y", and so on and so on. If nothing is certain, then how is anything wrong? Other than the general wrongness of it? this pic isn't legit at all. 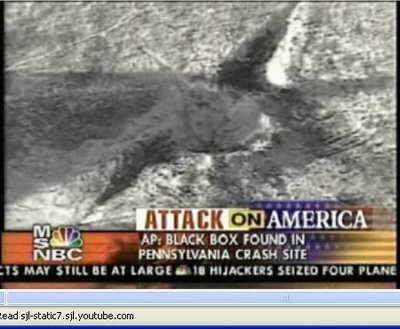 this is from the A&E documentary about flight 93. there isn't even a road near it. Interesting that Mr. Fortner calls John Fleegle a Liar on his site. I might have to make a phone call to this joke. Heres another one that im sure everyone has seen....notice the grass looking like straw..and the smoke. Yeah, i initially thought maybe it was from the movie "Flight 93" as it does look like production quality. Then i saw it coming from that site so wasnt sure. No fire, no black Smoke, no plane. Official story is a total lie! IF its not real...they sure did one hell of a job making it look real! its hollywood thats what they do! this dude is pushing so much disinformation it is disgusting. i am especially displeased with him calling john fleegle a liar and belittling susan's testimony and using the inaccurate source which claims she stated it had rear mounted engines. Dom, not clear on this. They said Shanksville firetruck arrived, but that's not it? 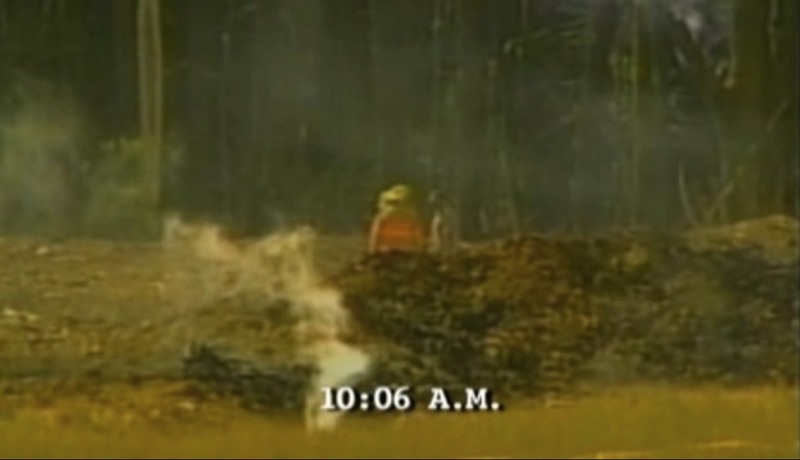 Here is a video of CNN Covering Flight 93 crash in Shanksville..with smoke still coming from the ground. That is what we all expected to see. Crash with nose down straight into the ground. Early reports indicate that the Gol plane crashed nose-first, and witnesses say it was seen moving erratically and losing altitude prior to crashing. Accident investigators will examine a number of issues including the operation of both planes' TCAS (Traffic Collision Avoidance System) and why the system did not prevent this accident. The TCAS was manufactured by Honeywell, an American company.